The aid and development sector has officially launched their fight back campaign this election period, asking voters to pledge their vote for a fairer world using emotionally evocative fence-signs and cutting-edge campaigning techniques. 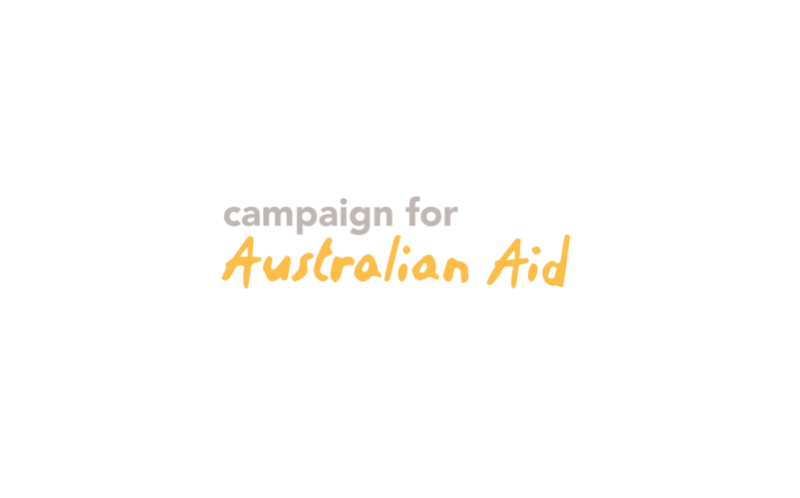 Made up of more than 60 leading aid and development organisations and the hundreds of thousands of Australians who support them, Campaign for Australian Aid will be fighting for those living in some of the poorest parts of the world this election period. “Elections are important moments for the public to demand the kind of future we want. And this election is about the future, not just of people here in Australia, but the future of people who live in some of the poorest parts of the world. Our vote impacts people all around the world,” said Mr Milne. “Australians and people all over the world are working together so that everyone has the same opportunity to live a free, happy and healthy life. Australian Aid is the contribution Australians make to a fairer and more equal world for everyone,” said Mr Milne. Mr Milne added that along with online mobilisation, aid groups and volunteers will be adopting techniques used by political parties in both Australia and the US. “Volunteers will be going from door-to-door and running phone banks, talking to people about global poverty and inequality. Over the last two years, we’ve seen the aid budget cut by one third. Campaign for Australian Aid and its supporters are rising above partisan politics and going direct to Australian voters to talk about the importance of aid and building a fairer world,” said Mr Milne.